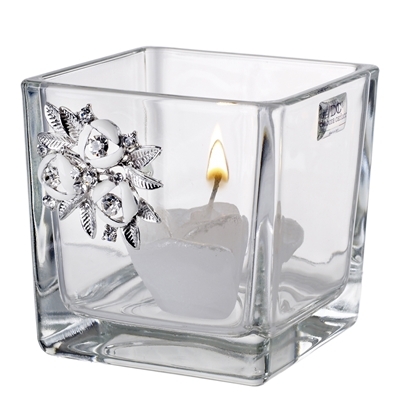 Candles add so much warmth to a home, making it cozy for her family and inviting to her guests. This tealight holder, made of radiant crystal, magnifies the candle's brilliance by directing its light outward and upward. It also allows you the opportunity to add some warm wishes of your own with a personal engraved note. Give this elegant piece to a newlywed couple on their wedding day, or as a wedding anniversary gift idea.